In around A.D. 49, Claudius Caesar decreed that all Jews had to leave Rome entirely. They were exported out of the city. Claudius later married a woman named Agrippina and even adopted her son, Nero, as his own son. But in A.D. 54 Agrippina poisoned Claudius Caesar, and her son Nero took the role of Emperor. This began a time known as Neronis quinquennium, “the five-year period of Nero” - it was a time, for the most part, of peace and one where Rome was at its strongest and the best it had been in years. And as part of this early reign of Nero, the Jews were allowed to return to Rome. But when the Jewish Christians returned to the churches that they had previously founded and been apart of in Rome, they found them to be in a very different state than they had left them, because of course, the churches continued on without them and the only ones that remained were Gentile Christians. Christians who hadn’t been given the law, the ten commandments, who didn’t understand the rituals, circumcision, etc. So they came back to what they would have been considered to be a very disorderly state in the church. Of course, in that day, Rome essentially ruled the whole world, and they got what they wanted in any way that they wanted. Especially by the end of Nero’s reign as Caesar, to be a Christian was one of the most dangerous things that you could be. 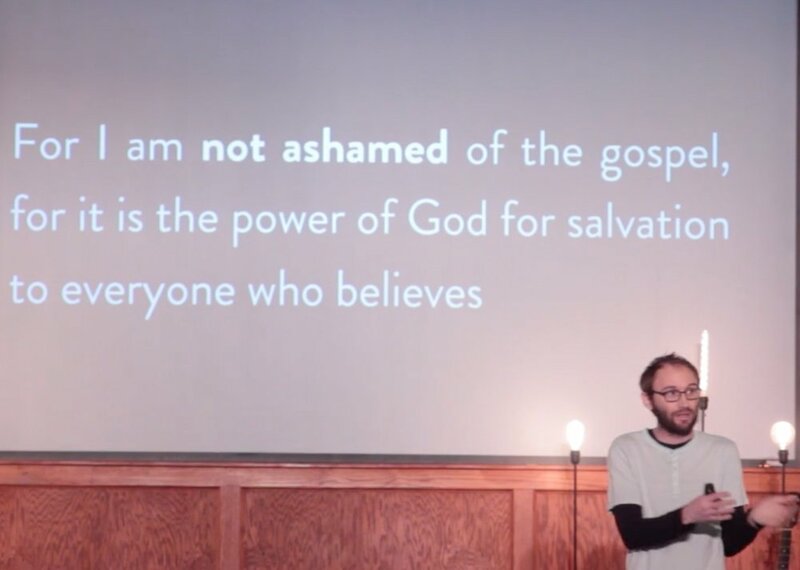 So when Paul says “I am not ashamed of the Gospel” - what he ultimately is saying is that there is NOTHING that Rome can do to him that will silence his message, because it is the only message that has the power to change the whole world. One of the things that we have to really wrestle with when we read the book of Romans, is the fact that the church in Rome is one that Paul had never been even been too. He did not found it, nor had he ever had a first hand experience with the people of the church he is writing. 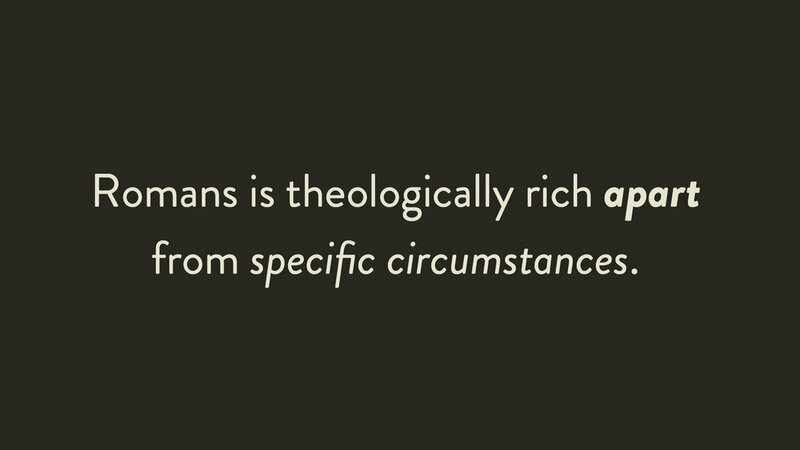 The reason that this is so significant, is because Romans is also Paul’s clearest theological piece. Its almost as if it is “his Gospel” - and it is written apart from specific circumstances that he would have had to of spoken into. This really comes into play when we get into some of the more difficult sayings of Paul in Romans. 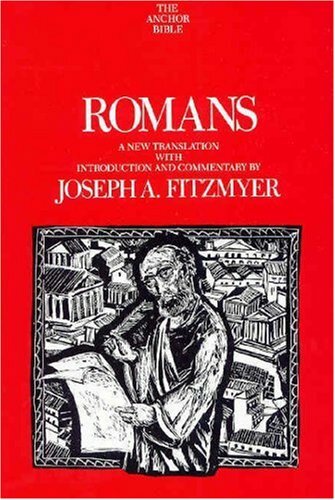 Context always matters, and the things going on in Rome at that time do matter, but what Paul ultimately seems to be doing with the book of Romans is he is giving us his theology.